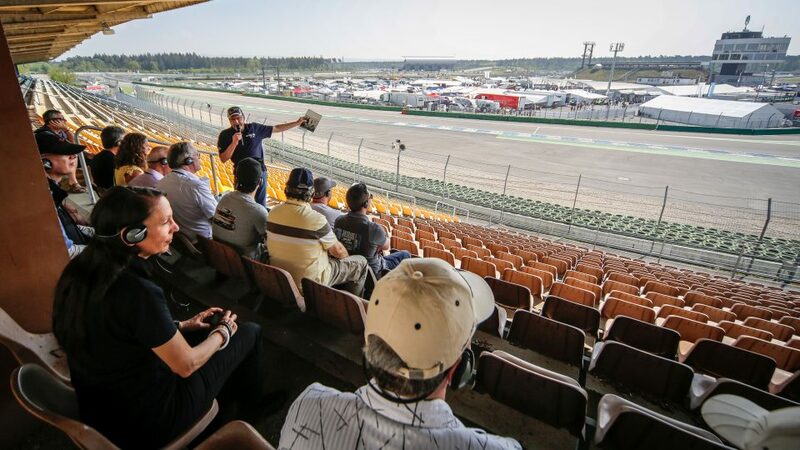 In exactly six weeks the Bosch Hockenheim Historic – The Jim Clark Revival will once again open the doors for all fans of historic motorsport. The special guided tour “On the tracks of Jim Clark” will also take place as part of the event. Our guide will take you on a journey through time in which you can indulge in memories, but also learn lots of interesting facts about the “flying Scotsman”. We start with a historical review of the race track. Afterwards it goes on the north stand. From there you have a great view of the paddock and the Ravenol curve. The tour around the exceptional driver concludes with a visit to his memorial directly on the race track. The tour will start on Saturday at 11:00 a.m. at the Motor-Sport-Museum, tickets are available on site.